Looking for new carpet for your home? There are four basic carpet fibers used in production. They all have unique qualities and strengths; all provide different characteristics and benefits. In overall performance, nylon is the most versatile of all fibers. Because it provides durability and flexibility when developing different styles of carpet, you’ll find it’s the most widely used in production. Nylon yarn can be dyed in a full range of colors and hold its uniformity throughout. Nylon can be used to create a wide variety of looks, from cut pile to loop pile designs. It’s also one of the softer fibers, giving a luxurious appearance wherever it’s installed. Though not inherently stain resistant, many manufacturers add a stain resistant treatment for protection against daily messes. Polyester fibers are great choices for rooms that will receive low to medium traffic, such as in the bedrooms. Polyester offers exceptional color uniformity and comes in a wide array of colors. It’s strong and as durable as nylon, and will perform well over time. Polyester also has a natural stain and fade resistance, making it ideal for homes with kids. Polypropylene fibers, also known as olefin, will not absorb water. Instead of being dyed after production like other fibers, polypropylene fibers use a solution dyeing process in which the color is built into the fibers as they are formed. This means the color is an intrinsic part of the final product and will not fade even when exposed to intense sunlight, bleaches, chemicals or other contaminants. You’ll find most polypropylene carpets in loop pile construction as the fiber isn’t as strong as others under pressure. Wool is a traditional favorite for a rich look and feel. It remains a premium choice that is often only found in upper lines and styles. It has excellent resilience and durability. Wool cleans especially well, provides beautiful colors, but tends to wear down especially in high traffic areas. In some cases, bald spots may occur under heavy traffic loads. Although it is naturally stain resistant, it does require a high level of maintenance. It is very popular in the production of area rugs. Carpet pile fibers significantly impact carpet performance. 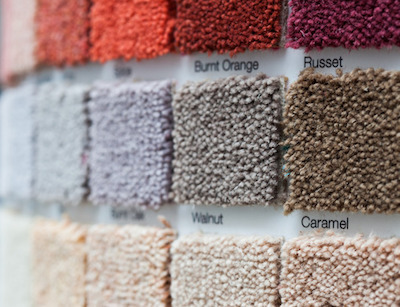 When making your final selection, make sure you understand the characteristics of the carpeting you are considering, and weigh it carefully against the demands of your home. Talk with one of our carpet specialists to learn more about making the right choice for you.